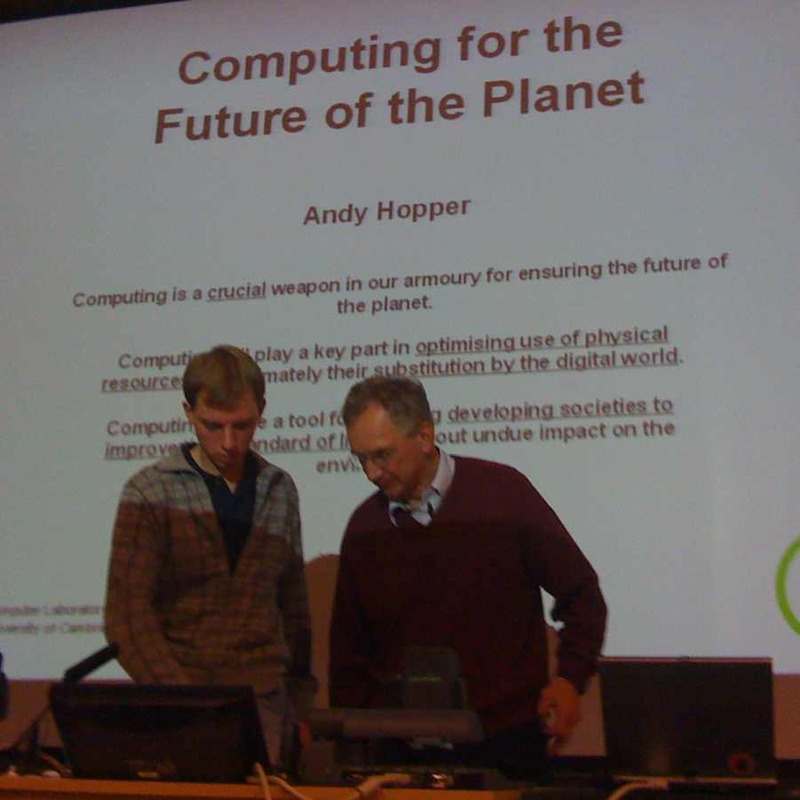 Interesting talk by Andy Hopper tonight on Computing the future. I especially liked his comments on setting projects for his PhD students. they have to be more advanced than what Google or Microsoft are doing but not totally science fiction stuff – A hard job these days I reckon. 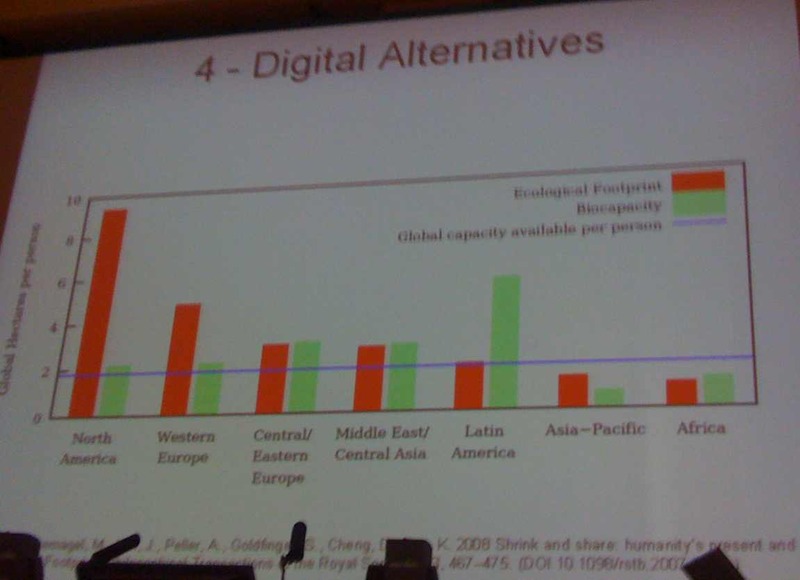 Other interesting points was that 2-3% of the worlds energy is consumed by server farms. So the proposal is to put the server farms by the windmills and solar plants since data is so cheap to transmit. Servers need to get more intelligent so that they run closer to 100% utilisation (rather than current 30%) by switching themselves off etc. He forsees the world running on simple low power terminals. Yep. bring back the Wyse50’s 🙂 But more likely to be mobile phones! Especially after his trip to Soweto to see how they are using phones there. Also discussed the idea that every moving object would have a sensor hooked into a vast database so your phone could be measuring CO2 etc. A revealing chart showing global hectares available per person and current usage levels with the USA standing out as usual.